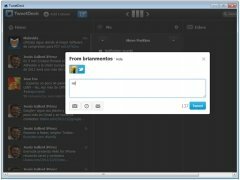 If there is something common to the vast majority of Twitter desktop clients, it has to be, without a doubt, their ease of use, their speed and the fact that they integrate services that the original service doesn't include on the website, like a function to shorten URLs or to store images. 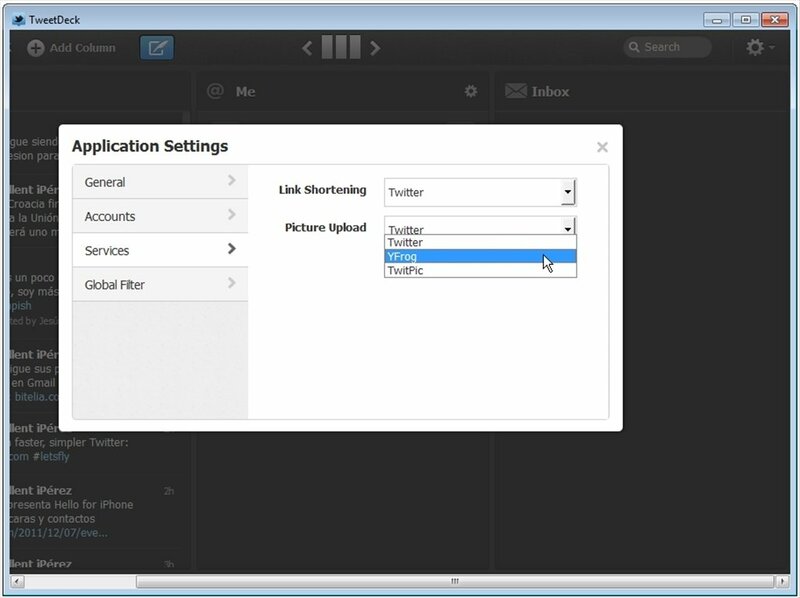 TweetDeck offers all that and much more. 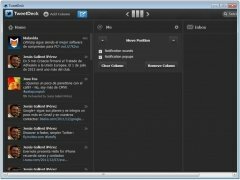 A complete application to manage Twitter accounts. 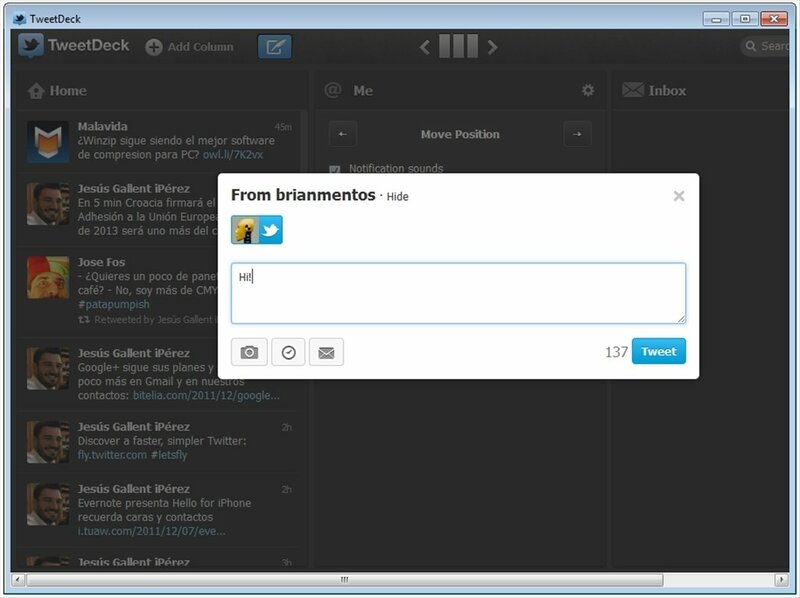 Those users with less experience may notice that TweetDeck is an application that is too big and complicated, nevertheless, this is a sensation that will disappear as soon as they get used to Twitter, and its ecosystem of applications and users. 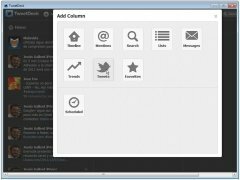 With this desktop client it's possible to follow conversations, send replies and direct messages, retweets and, of course, receive notifications when our timeline is updated. 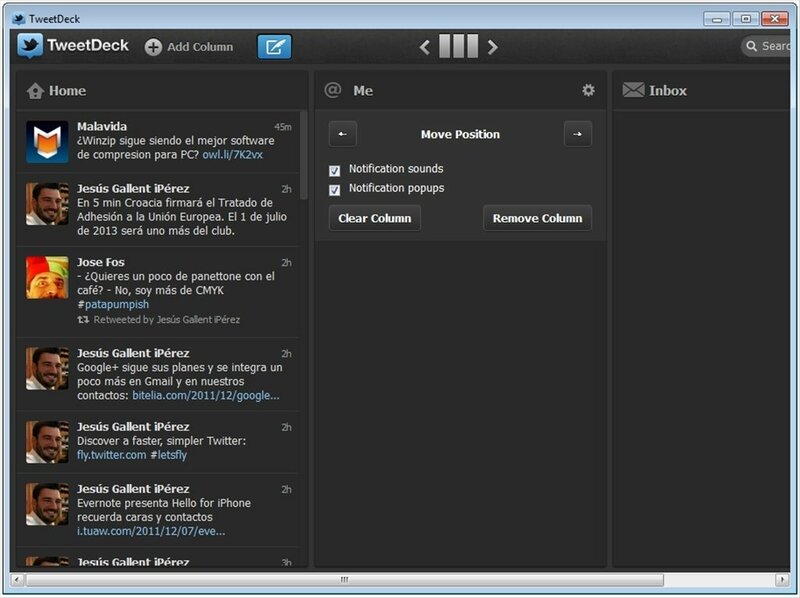 But not only is TweetDeck useful for Twitter, it also integrates with FourSquare, LinkedIn, Google Buzz and Myspace, so it's possible to handle several of the most important social networks in the world from the same interface. 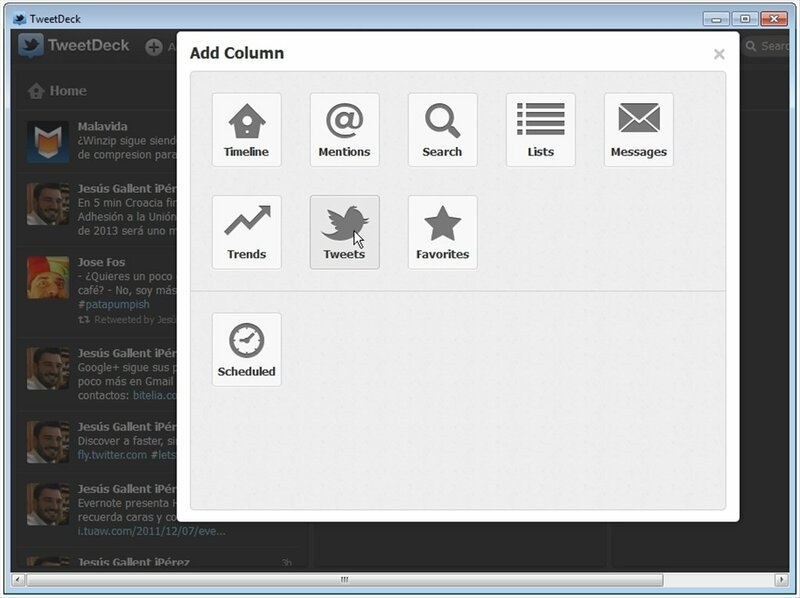 Interface that, on the other hand, is totally customizable, allowing the user to choose the contents of each column (the Twitter timeline, the replies or the messages,...), the amount of columns and even the predominant colors. 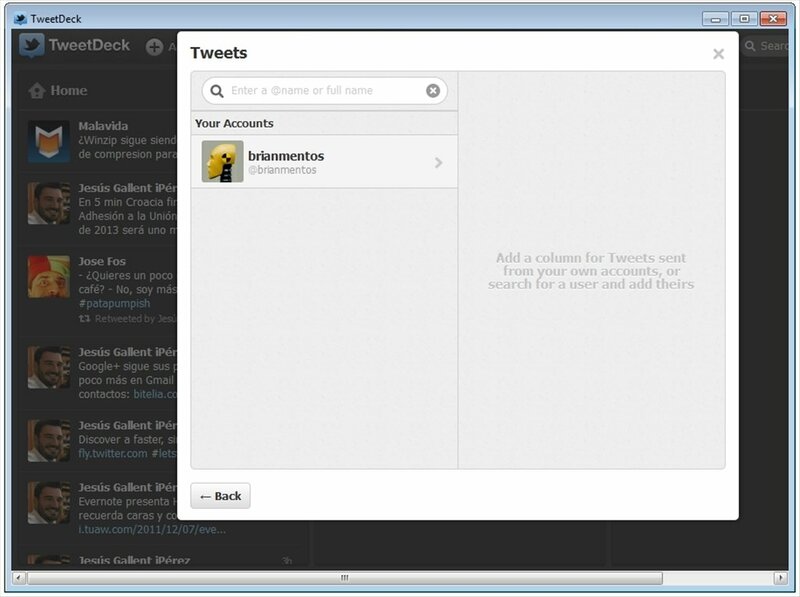 Of course, it's possible to have several accounts in different columns. 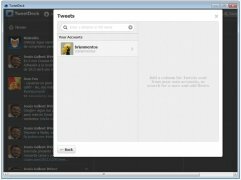 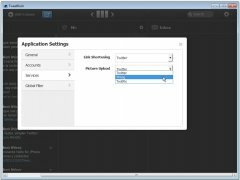 Additionally, TweetDeck has a service that expands the application's features, allowing you to store data on the cloud and to synchronize certain configurations.